Giving doesn't pay for worship; IT IS WORSHIP. This sermon series includes a weekly Bible Reading Plan. Each week we read in preparation for the sermon coming next week. 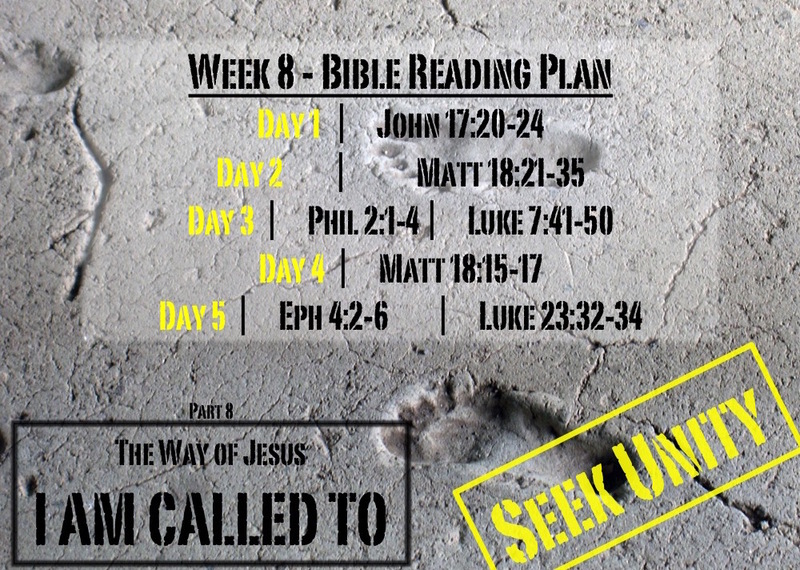 Next week we will discuss The Way of Jesus - I am called to SEEK UNITY, so this week we will be reading about unity and reconciliation using this WEEK 8 READING PLAN. Tips and suggested questions available on the PDF. Posted in Sermons and tagged Church Membership, Dandelions, Following Jesus, Generosity, Giving, Gratitude, Live to Give, Stewardship, The Way of Jesus.